Like in most catholic countries, the start of lent is a big occasion in Italy. Carnival (carnivale) runs from “fat Thursday , giovedi grasso” until “fat Tuesday, martedi grasso”. Traditionally people dress up in masks and costumes, but outside of Venice, this is mostly only done by small children. However everybody uses it as an excuse to eat lots of sweet things. This is Italy after all 🙂 This recipe is for one of the most common biscuits. 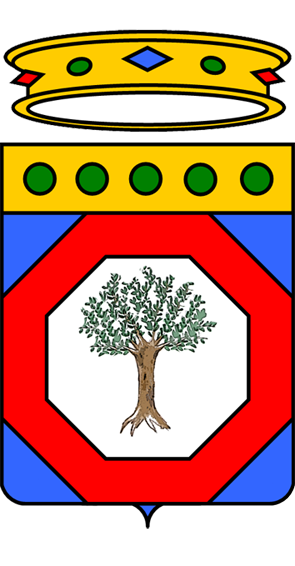 They have many regional names, bugie, cenci, crostoli, frappe, galani, sfrappole ,but here they are known as chiacchiere. A rough translation would be “chatty biscuits”. There are many variations on the basic recipe, some include grappa or wine, or lemon zest, but this is one of the simplest. 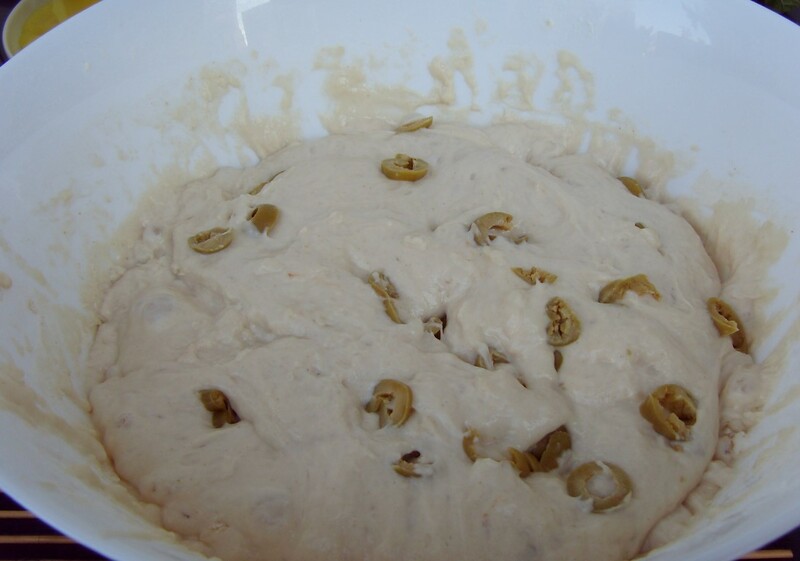 Mix all the ingredients together to form a dough. 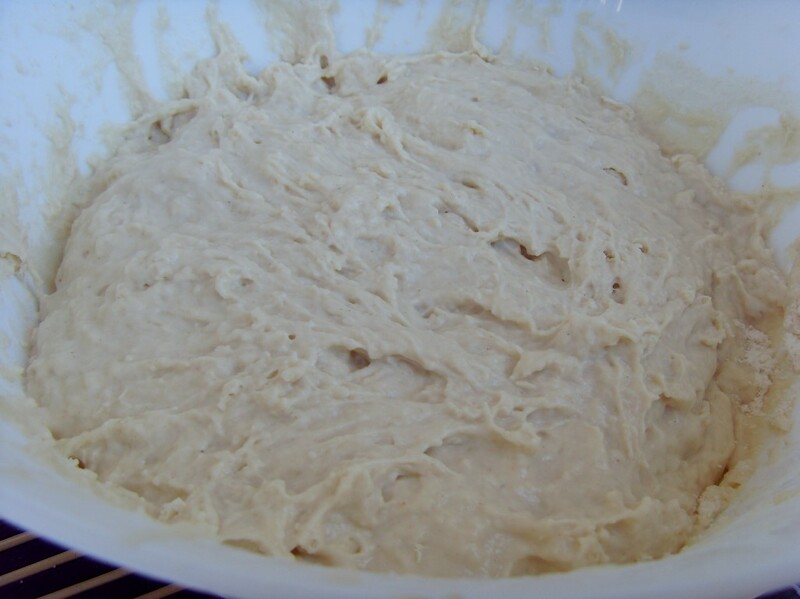 Knead it for a couple of minutes until it’s smooth. Roll it out very thinly. 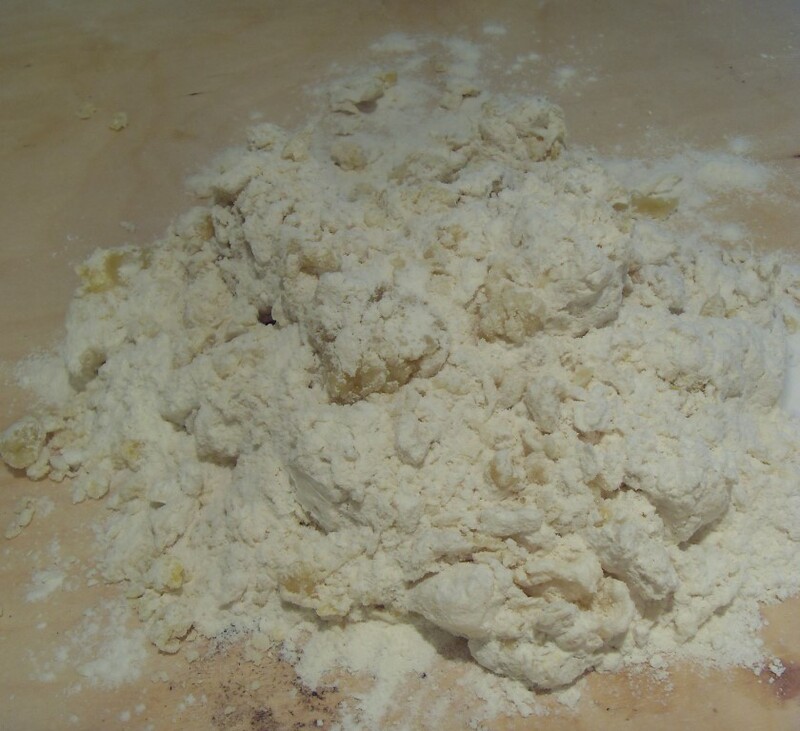 If the dough is too sticky, dust with a little flour. You are aiming for about the thickness of lasagne. 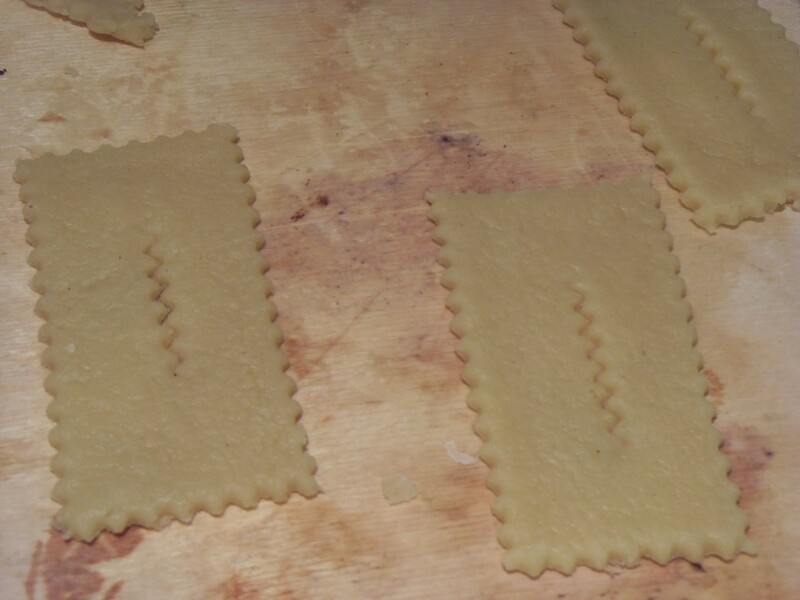 In fact, if you have a pasta rolling machine, that would be perfect. Cut out rectangles of about 6×3 cm (2×1 inch) and make a slit in the middle. A pastry wheel is good for this. 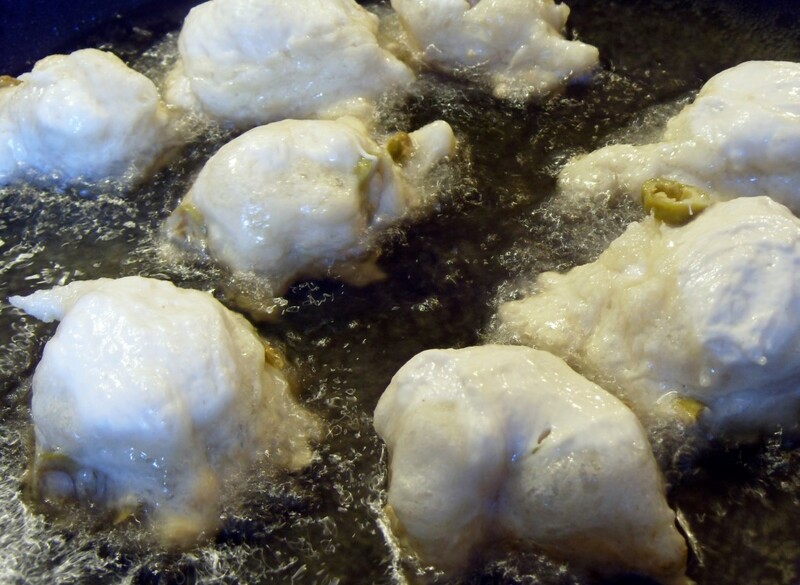 Deep fry in hot oil (about 190°c 375°f) until they are puffed up and lightly golden. Drain on kitchen paper and dust with icing sugar. From Puglia. Pettole are sweet or savoury doughnuts. In the region of Campania , and I believe the US, they are known as zeppole. 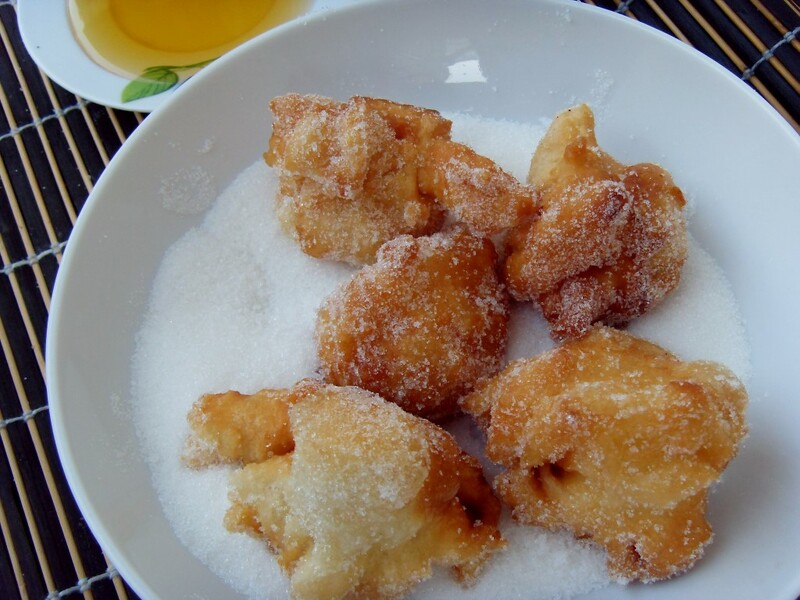 Here in Puglia, zeppole refers to a cake traditionally eaten on St Joseph’s day. 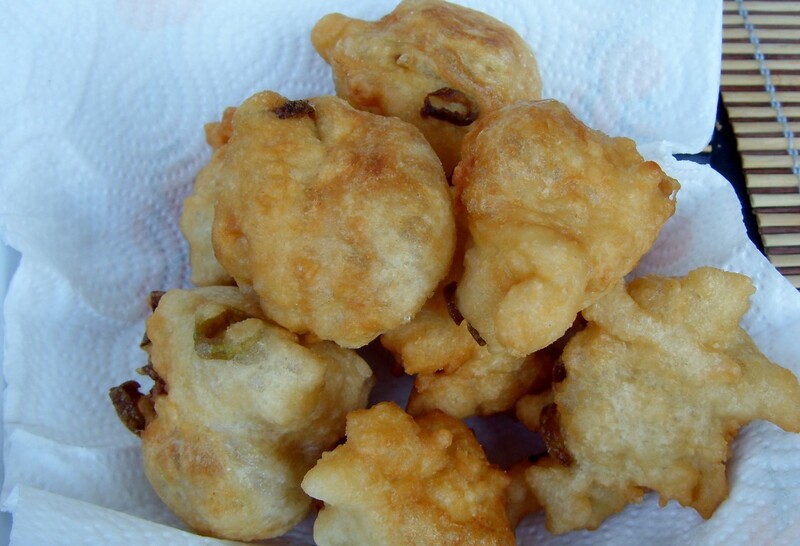 They are called pettole here in Puglia and some regions of Basilicata. 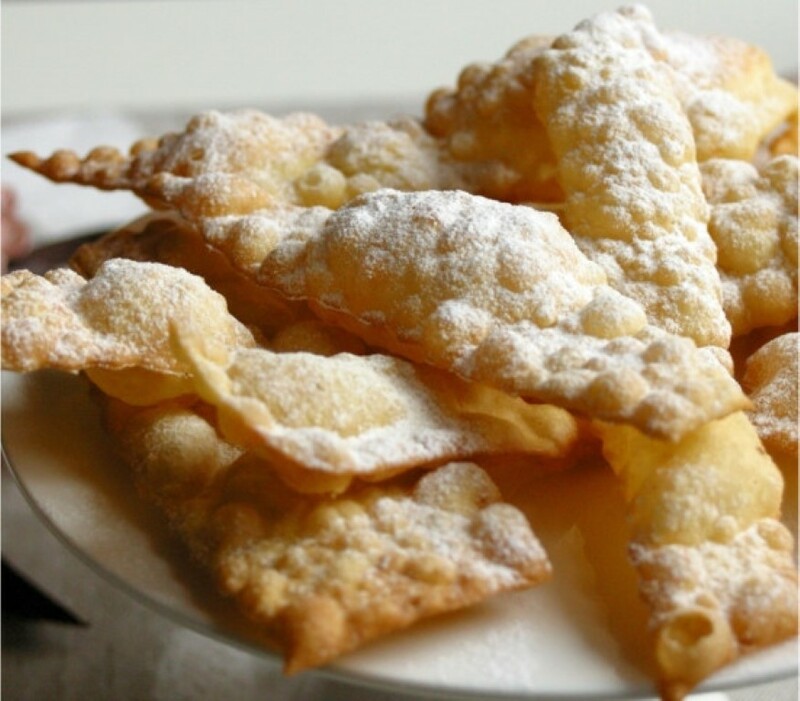 They are traditionally eaten on St Martin’s day in Lecce (Nov 11), St Cecilia’s day in Taranto (Nov 22), Around the immaculate conception on the 7th and 8th of December in Brindisi, and Christmas Eve in Foggia. They are generally eaten during the Christmas period throughout the region. They can be prepared in two ways, sweet or savoury. The savoury version can be plain, or contain other ingredients, such as olives, cooked cauliflower, salt cod , sundried tomatoes and anchovies. 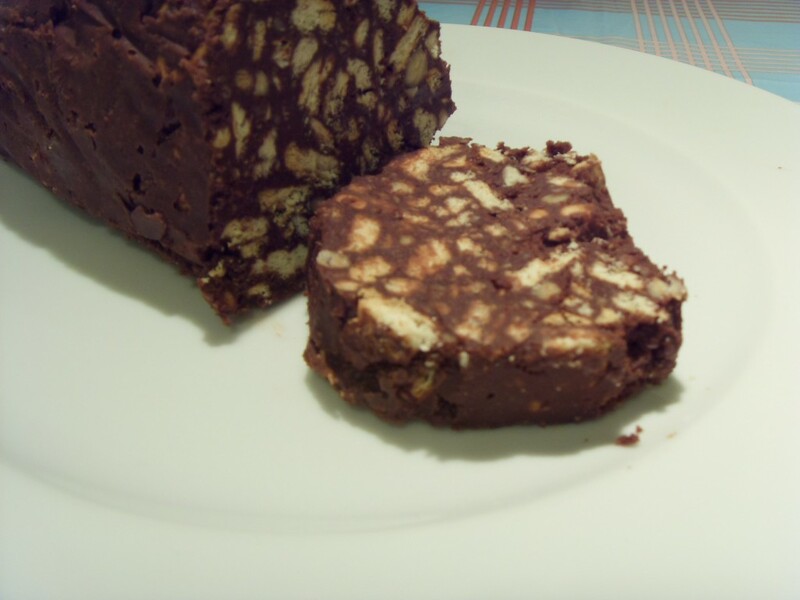 The sweet versions are dredged in sugar and/or dipped in vincotto a sweet, concentrated grape juice produced in Puglia. Honey or jam are also common if you can’t find vincotto. For the savoury version:- 10 olives, stoned and sliced into rings. Use black or green or a mixture of both. 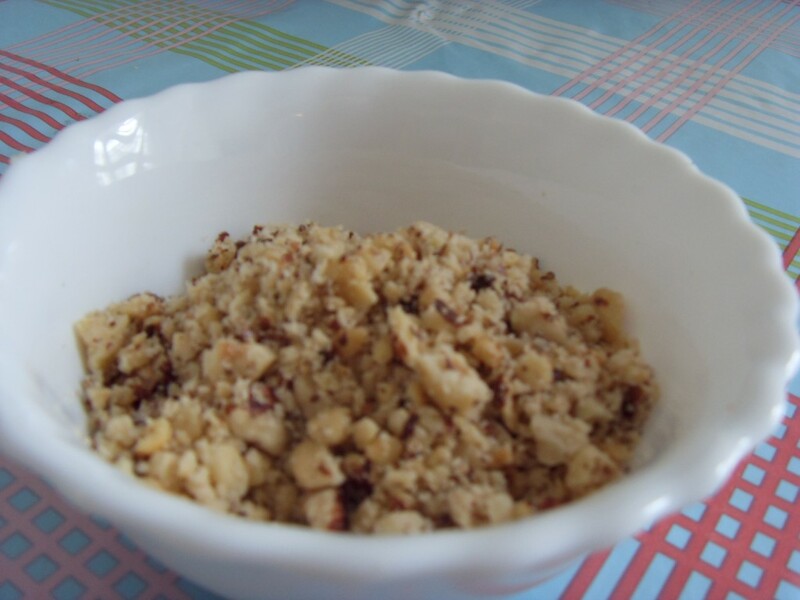 For the sweet version:- Granulated sugar, vincotto or honey. Dissolve the yeast in the water. 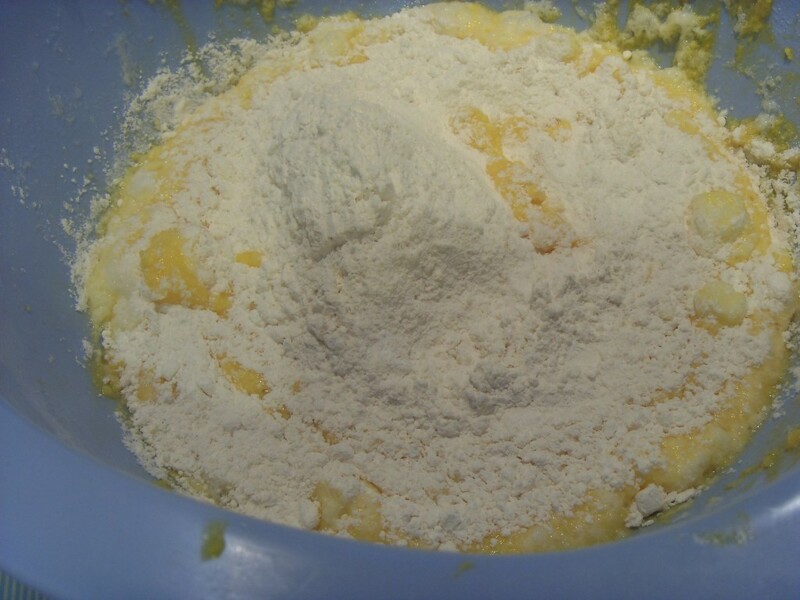 Mix together the water and flour. Add the salt at the end of mixing. 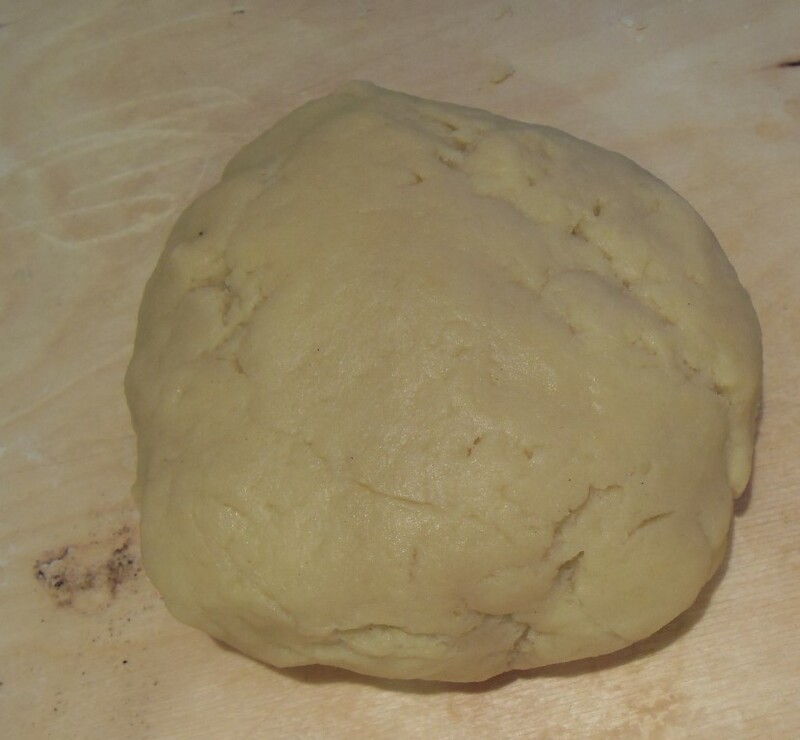 You should have a very wet dough. 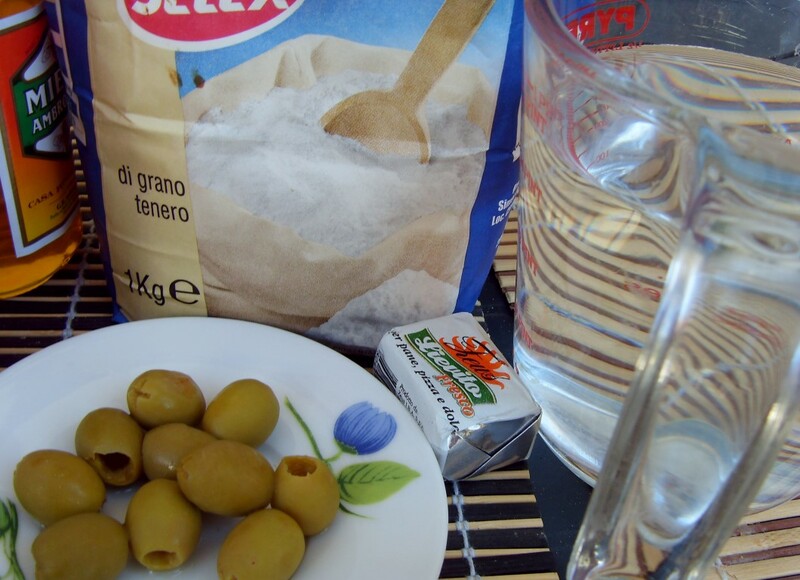 If you are making the savoury version, stir in the olives. Cover with cling film and leave in a warm place to rise for about 2 hours. 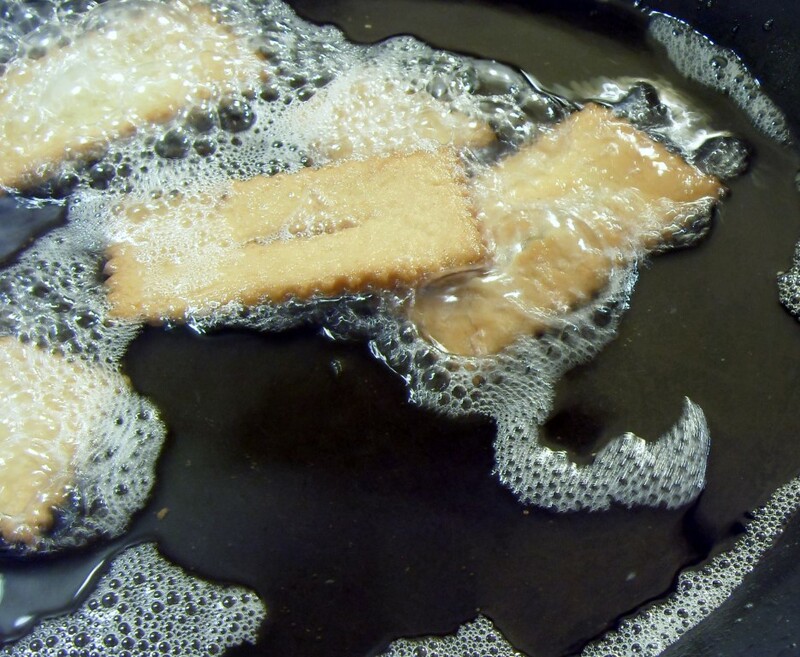 Wet your hands and scoop up about a tablespoon of dough and deep fry until it is lightly brown. You will need to turn them halfway through cooking. Drain on kitchen paper. If you are making the sweet version, dredge each pettole in sugar and serve with a dish of vincotto or honey to dip them in. Plum Cake. You see this cake all over Italy. 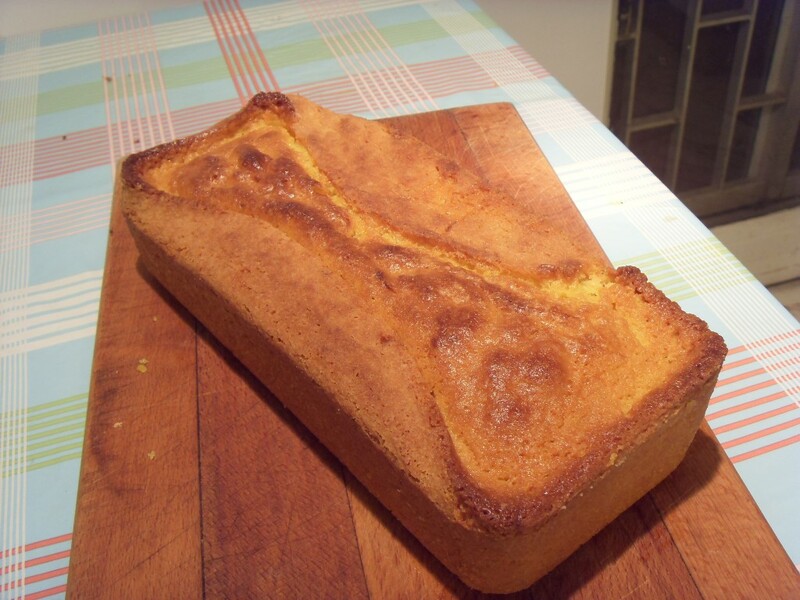 It is a type of sponge cake, baked in a loaf tin, similar to what is known as a loaf cake in the UK. In my opinion Italy does most things to do with food extremely well. One possible exception is breakfast. It is usually just coffee and some variety of cake. The coffee is very good though 🙂 This is a very common breakfast cake. I haven’t translated the name. It always appears in English, although the pronunciation is more ploomcake. It never, however, contains plums, or indeed any other kind of fruit. I have asked around, but nobody has any idea how it got its name. If anybody knows, please let me know. Beat the butter together with the sugar using a wooden spoon. 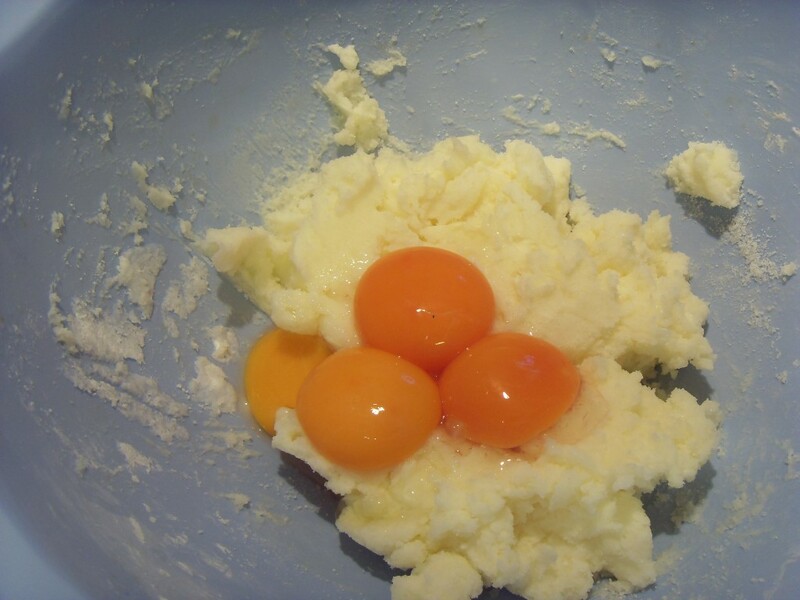 When they are combined, add the egg yolks and continue beating until you get a smooth mixture. 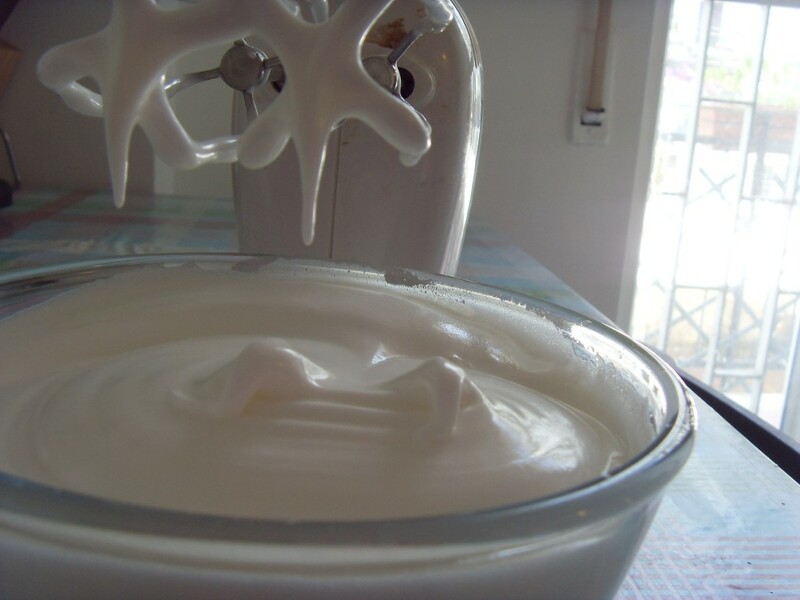 Whip the egg white, together with a pinch of salt, with an electric whisk until you get stiff peaks. Gently fold in the egg whites, into the egg yolk mixture. Gently fold in the flour, baking powder and the vanilla essence. 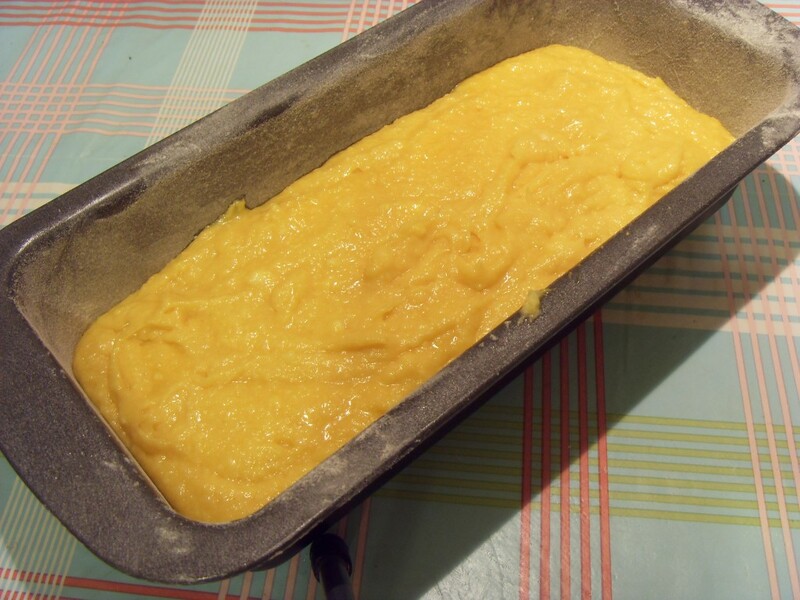 Grease a large loaf tin with butter and dust with flour. Pour in the mixture. Bake at 170°c for 40-45 minutes. 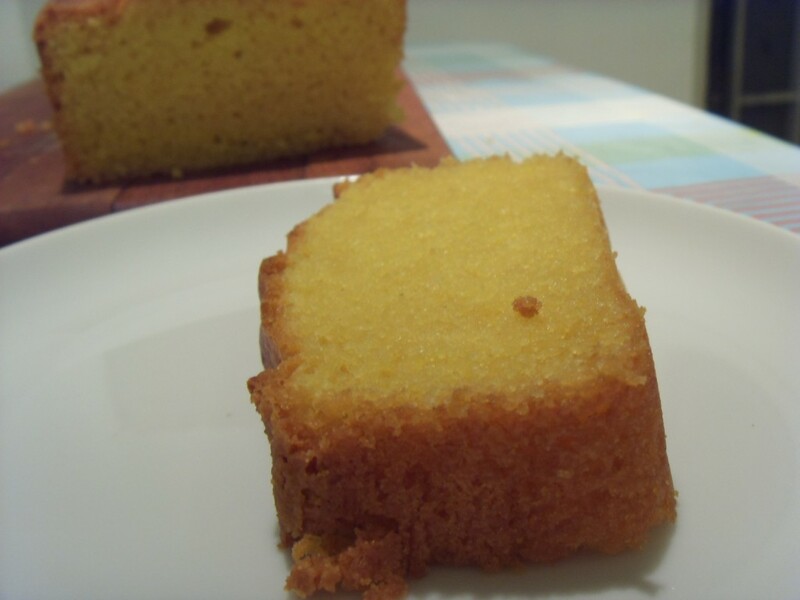 When a skewer inserted into the middle of the cake comes out clean, it is ready. 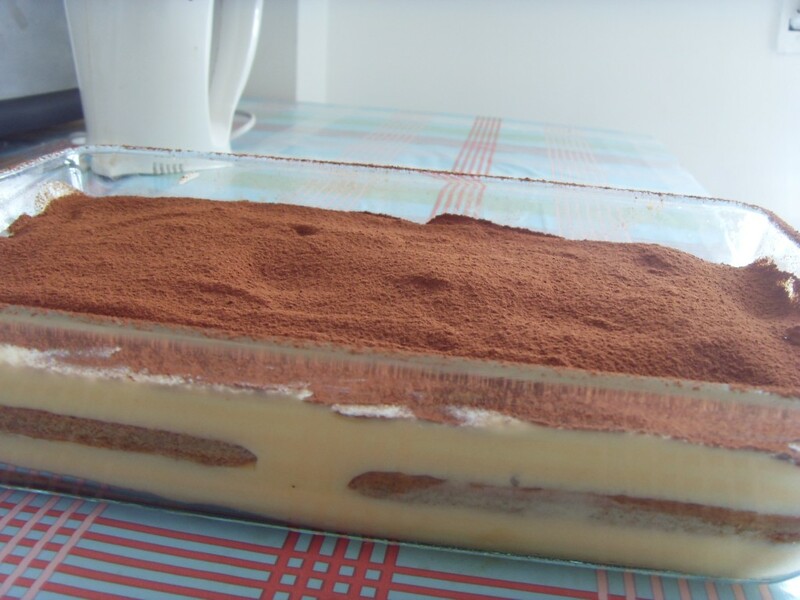 Tiramisu is ubiquitous in restaurants within Italy and around the world. The translation literally is “pick me up”. Idiomatically it means something like “make me happy”. It is quite a recent invention and didn’t start to become popular both nationally and internationally until the 80s. 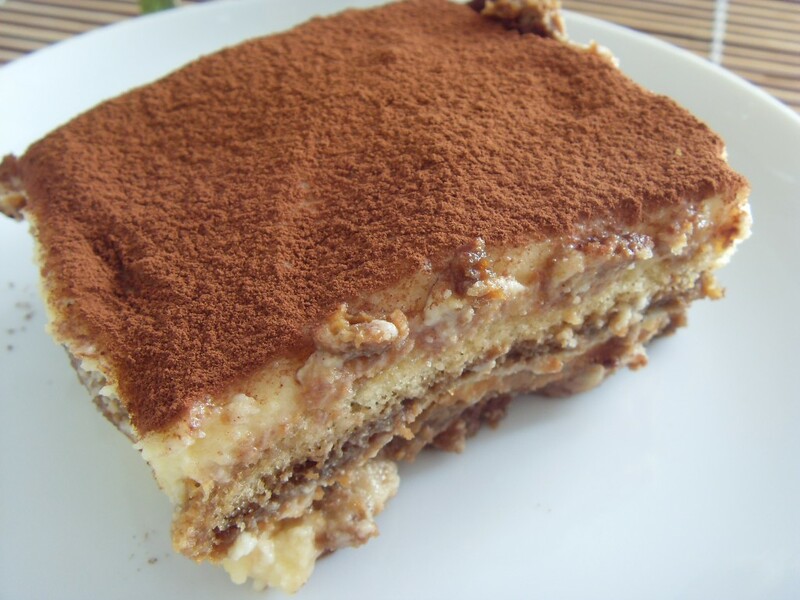 As with most things in Italy there is a great debate about the true origin of tiramisu(or tiramesù in the Venetian dialect). 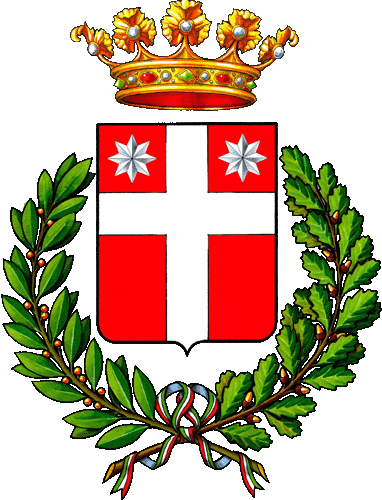 Some sources put its origin as Siena in Tuscany however I think that the most credible claim comes from Treviso, in the Veneto near to Venice. Roberto Linguanotto from the Beccherie restaurant claims to have invented it at the end of the 60s and this is his recipe. People have changed the recipe a lot over the years and the original included no cream or alcohol. The recipe was for a restaurant size portion but I used a third of the quantities to make 6 or 7 big portions. 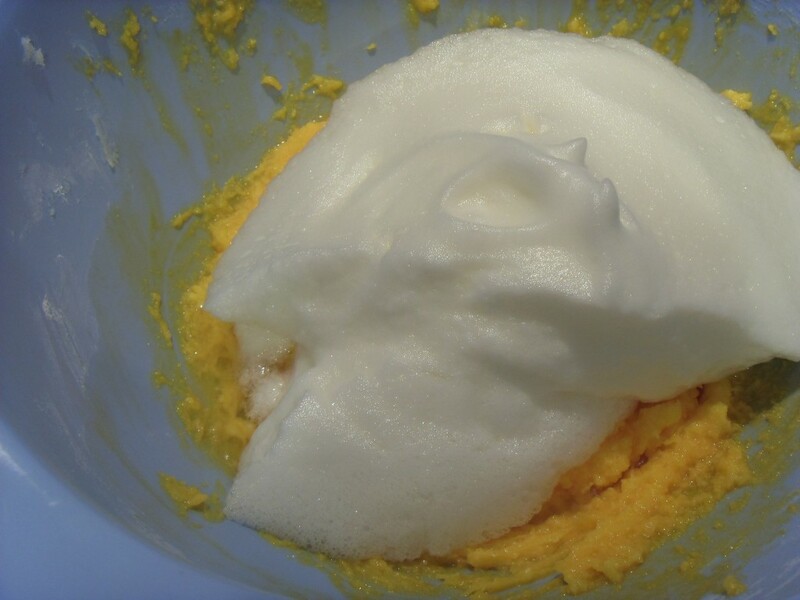 Whip the egg yolks together with the sugar until the sugar has completely dissolved and the mixture is stiff. 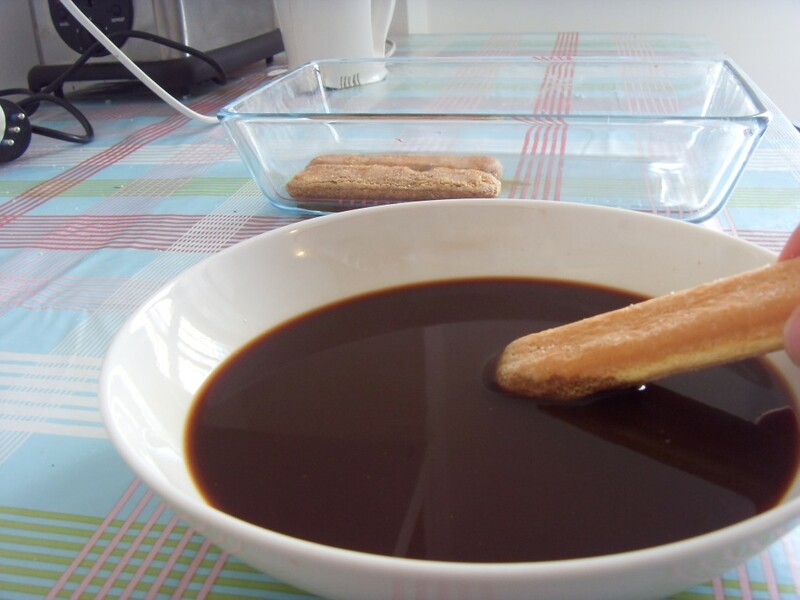 Dip half of the biscuits into the coffee. Be careful not to make them too wet as they will disintegrate. Arrange them in a single layer in a dish. Roberto recommends a round one. 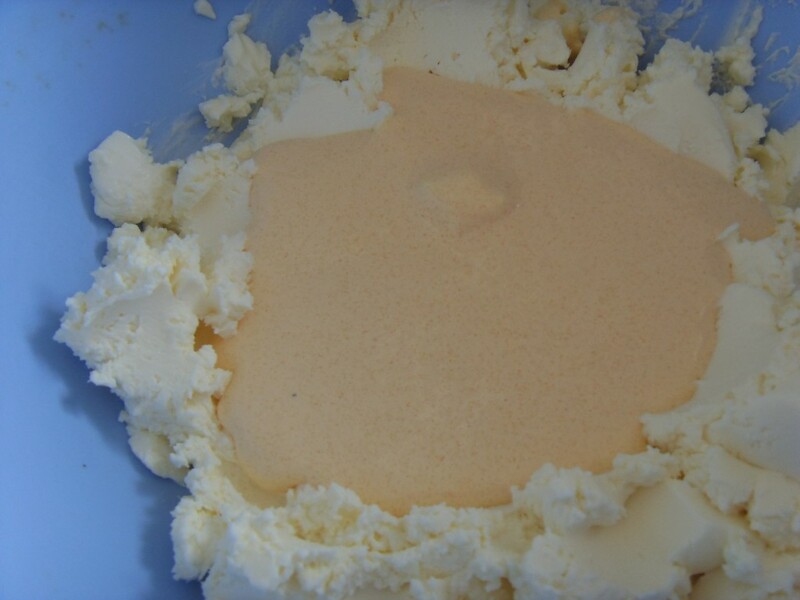 Spread half of the mascarpone mixture over the biscuit. Repeat to form a second layer. Dust the top liberally with cocoa powder. Chill the dish in the fridge for several hours, preferably overnight. 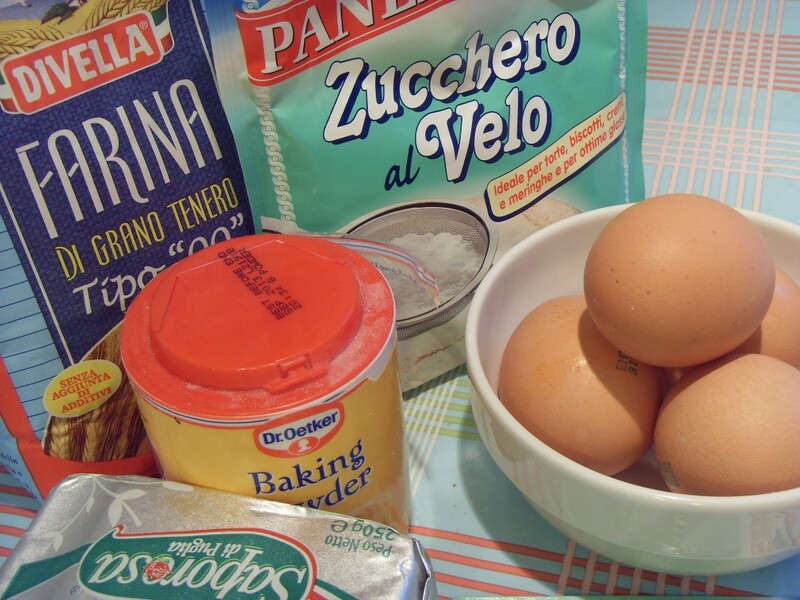 Beat the egg whites and lemon juice with an electric whisk while gradually adding the caster sugar. 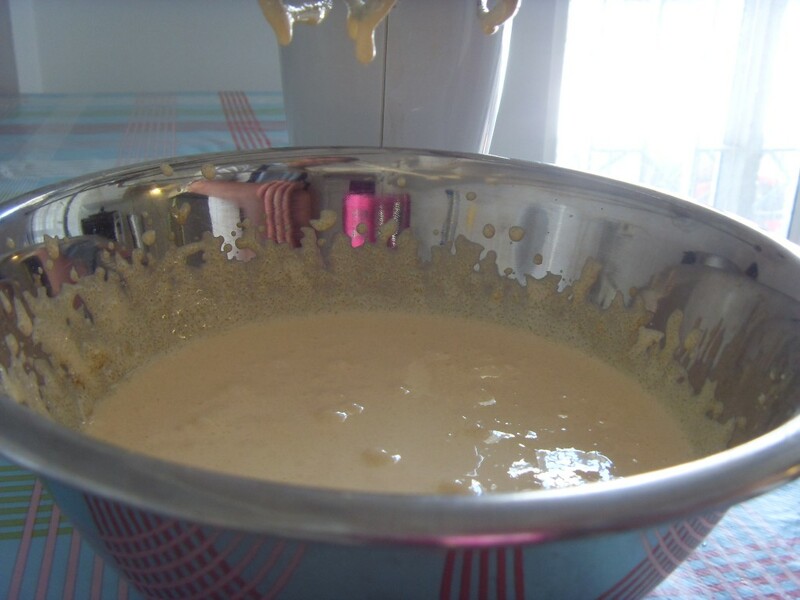 When the mixture has risen and is shiny and quite dense, carefully fold in the icing sugar. 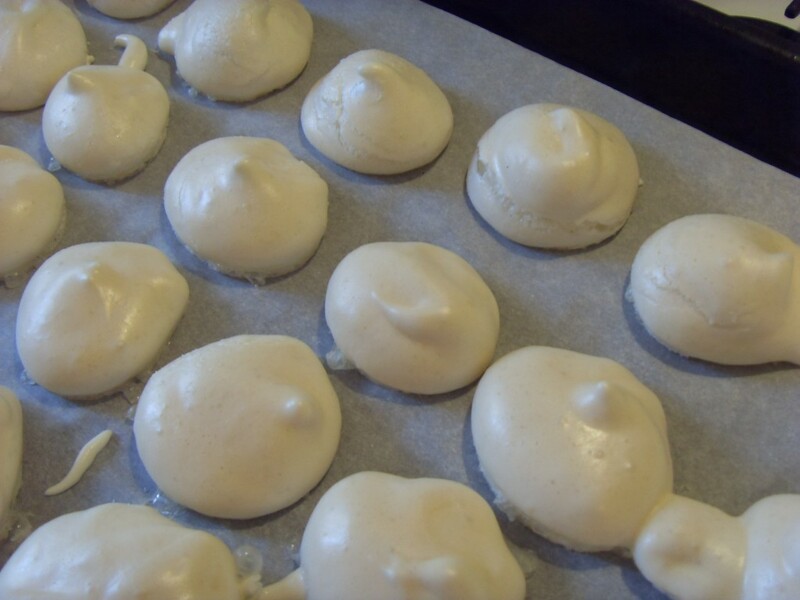 Make small meringues by placing teaspoons of the mixture on a baking sheet lined with greaseproof paper. Bake at 90°C with the oven door propped open to allow the moisture to escape. It should take about an hour and a half. When the meringues are ready, remove them from the oven and allow them to cool completely. 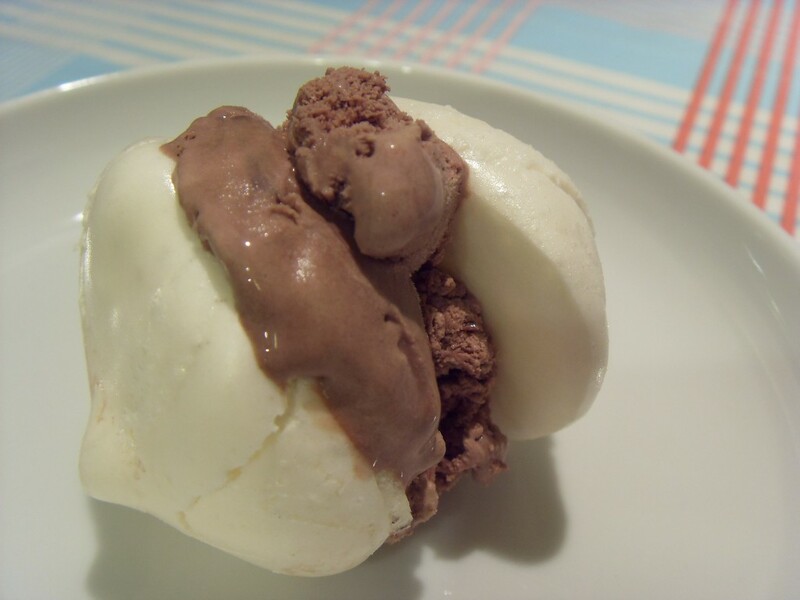 Serve them by making a sandwich with two meringues and some ice cream. 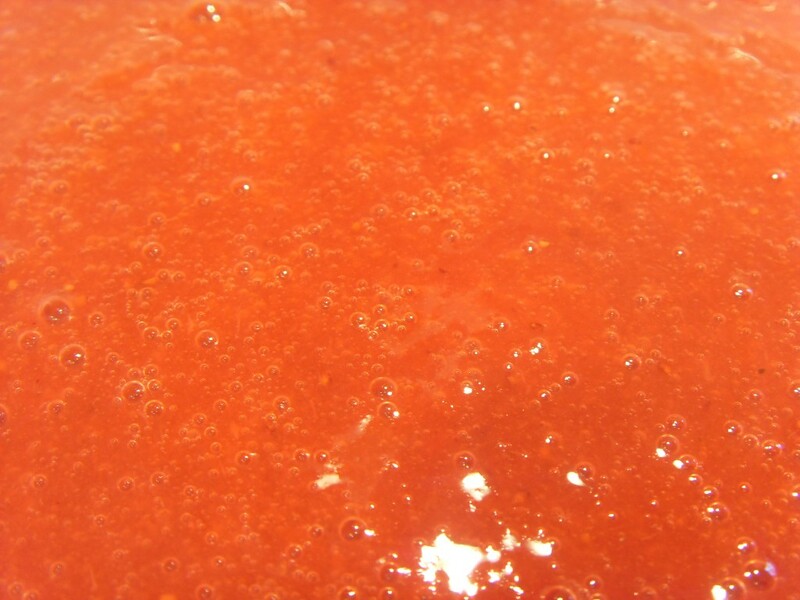 This is probably my favourite granita. You can top it with cream if you like. I like to use it to top fruit salad. 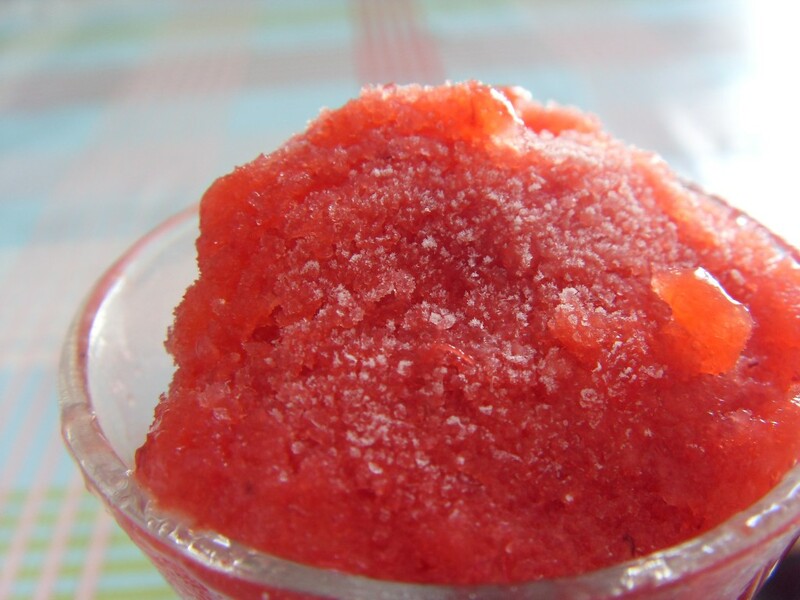 Like all granitas, it is very easy to make. Clean and cut the strawberries into halves or quarters depending on size. 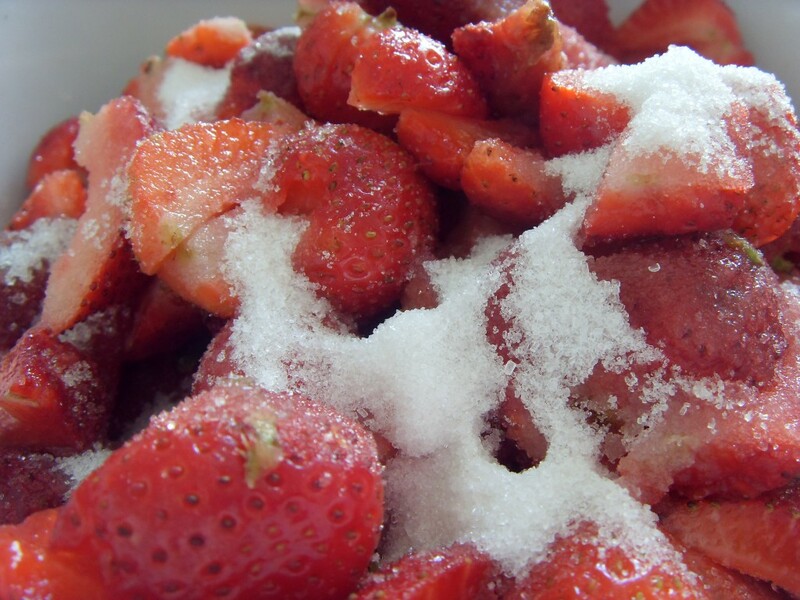 Sprinkle the strawberries with two tablespoons of the sugar. Leave them to macerate for an hour or so until they start to release their liquid. 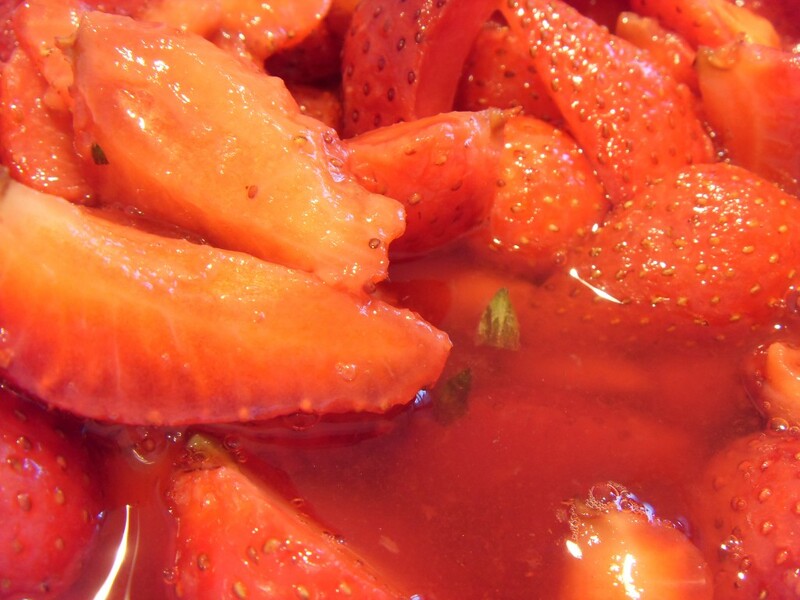 Liquidize the strawberries and add the lemon juice. Pour into a wide shallow dish and freeze for 1 hour until ice crystals start to form. 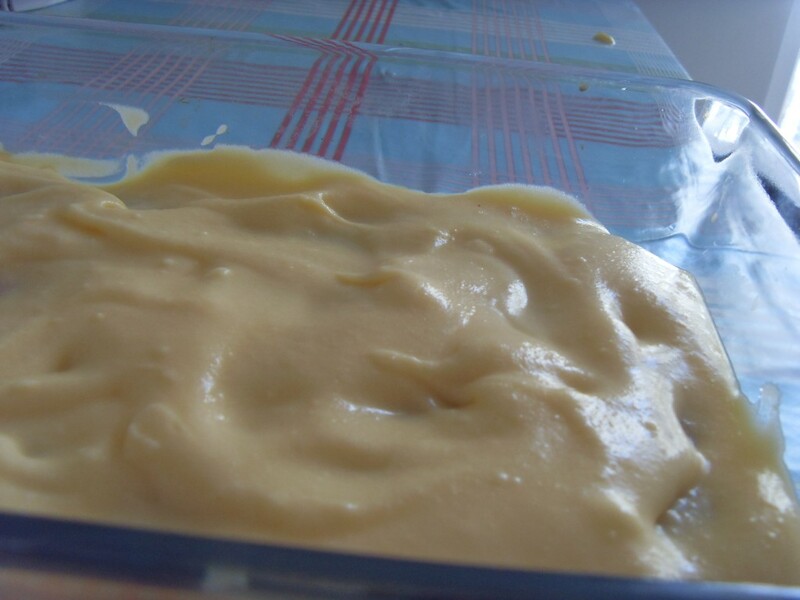 Remove from the freezer and scrape the frozen bits back into the mixture. Return to the freezer and repeat every 30 minutes or so until the granita is frozen, with a fluffy, crystalline texture. Spoon into dishes and serve straight away. Versions of this dish are popping up all over the place at the moment. I don’t know the exact origin, but it is definitely not traditional. I had some a while back in a local restaurant and was under orders from Mariella to cook it at home 🙂 She even provided the hazelnuts from a tree in her garden. I prefer to leave the biscuits in quite large pieces. It would look more like salami if the pieces were smaller, but I like the texture like this. This would keep very well in the freezer. I don’t know how many this serves, but it is quite heavy, so lots. 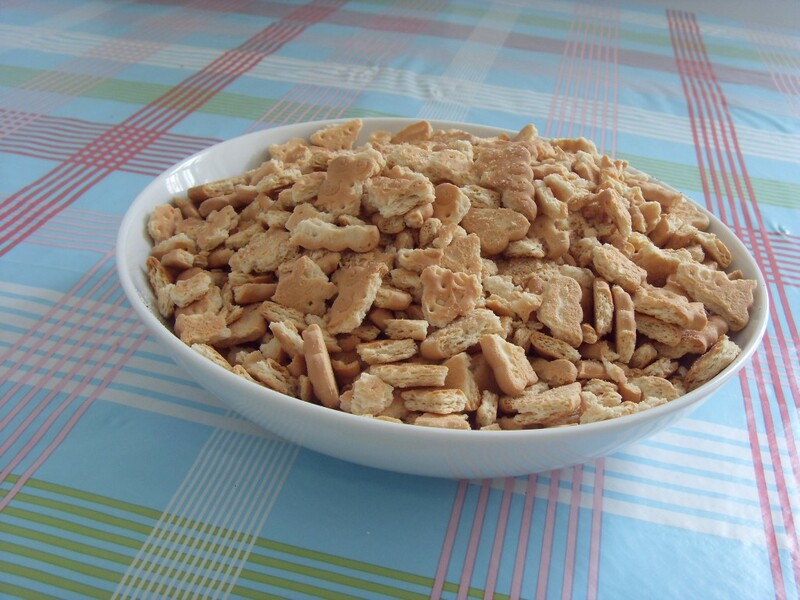 Break the biscuits into small pieces. I used a type called Saiwa Oro which are readily available here, but you can see from the picture what type to aim for. 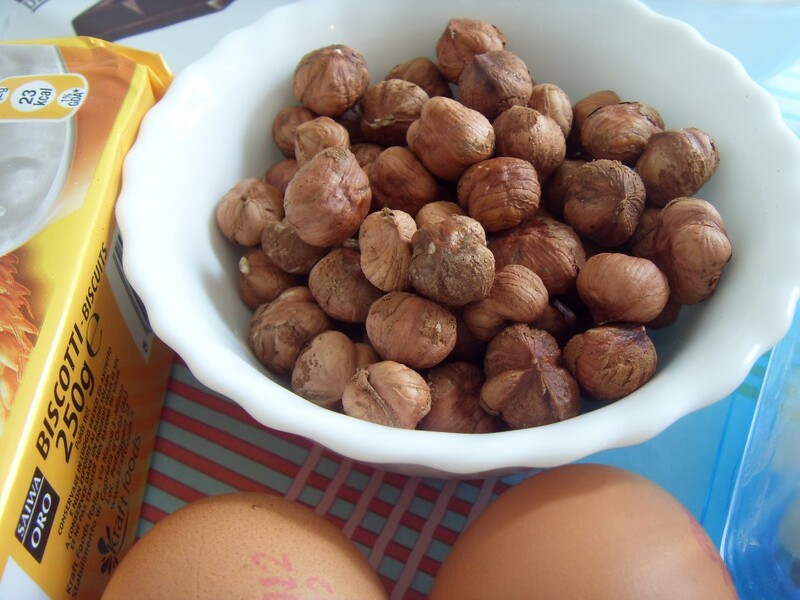 Lightly roast the hazelnuts and rub them together to try and remove as much of the skin as possible. Put them in a plastic bag and crush them with a rolling pin. 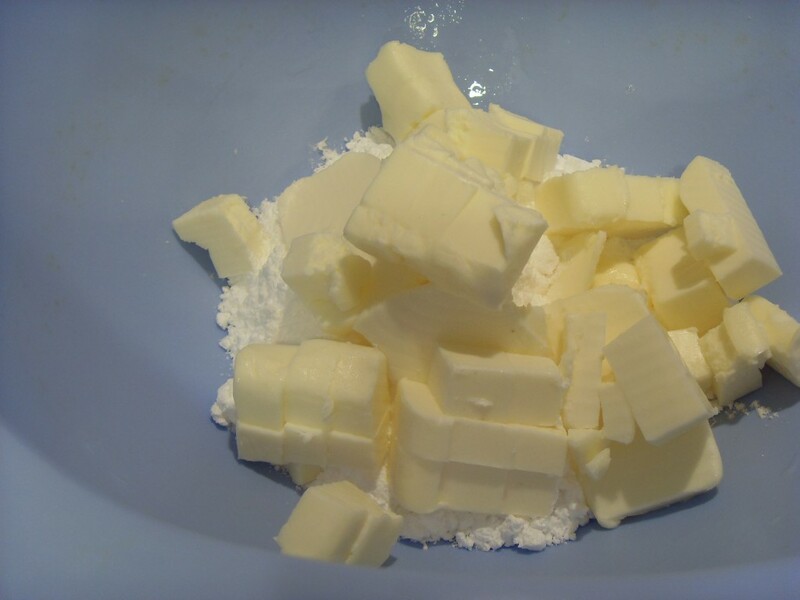 Make sure the butter is at room temperature and whisk it lightly by hand. Add the eggs and whisk it some more. 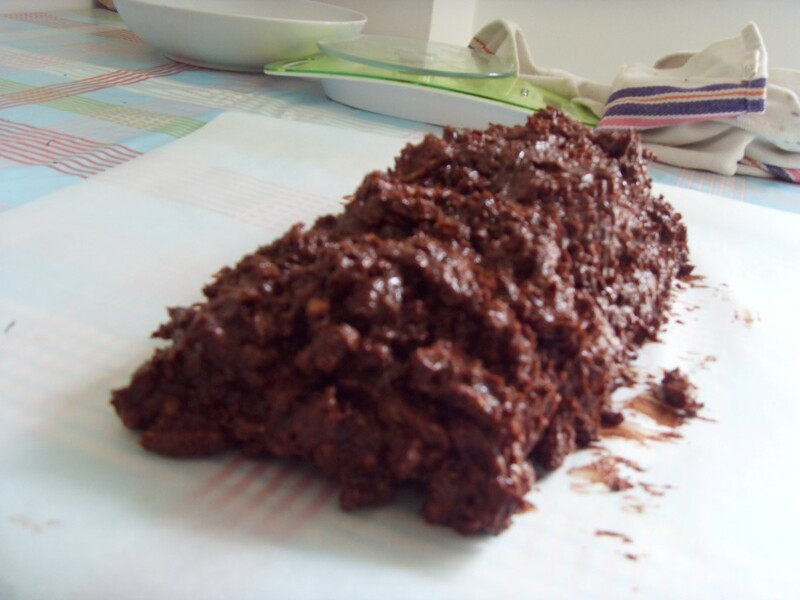 Melt the chocolate in a bain marie. 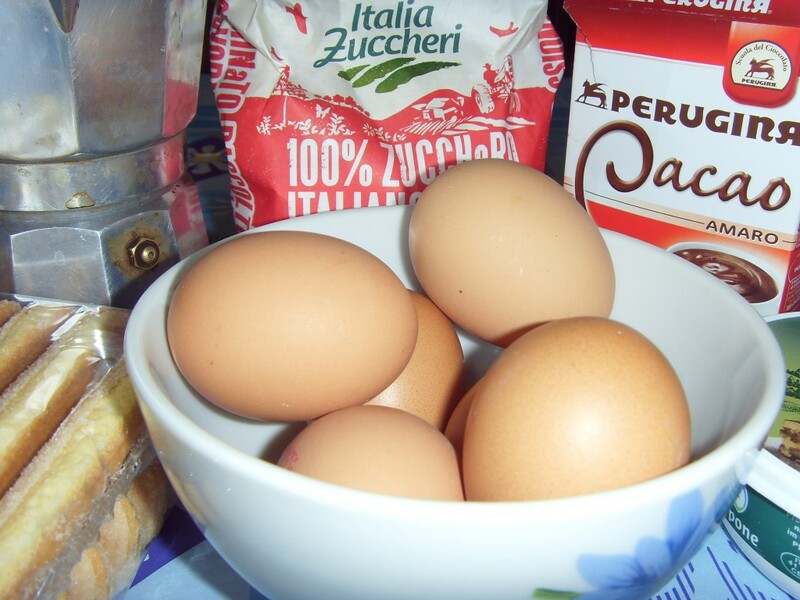 When the chocolate is smooth, add it to the butter and egg mixture. 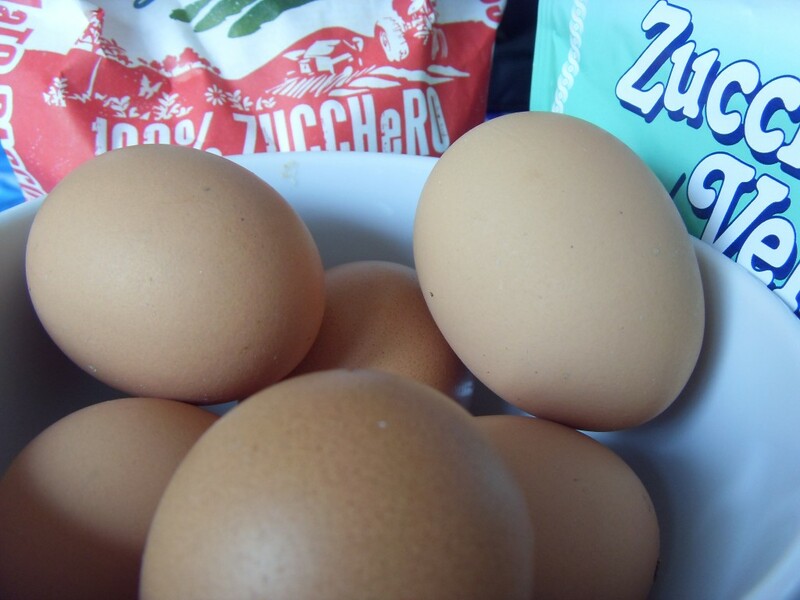 Make sure it is not too hot or the eggs will curdle. Add the brandy or rum. If you want to make an alcohol free version, use rum essence. Add the hazelnuts and mix well. 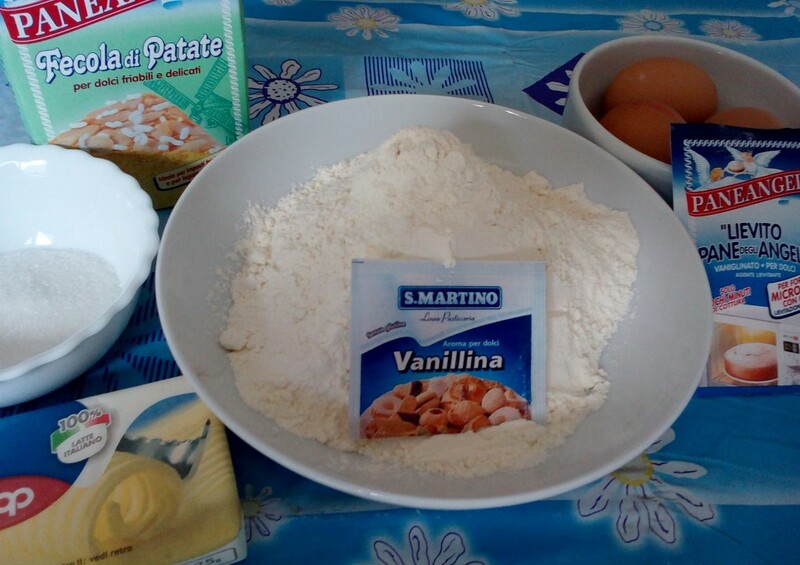 Add the biscuits and mix again. 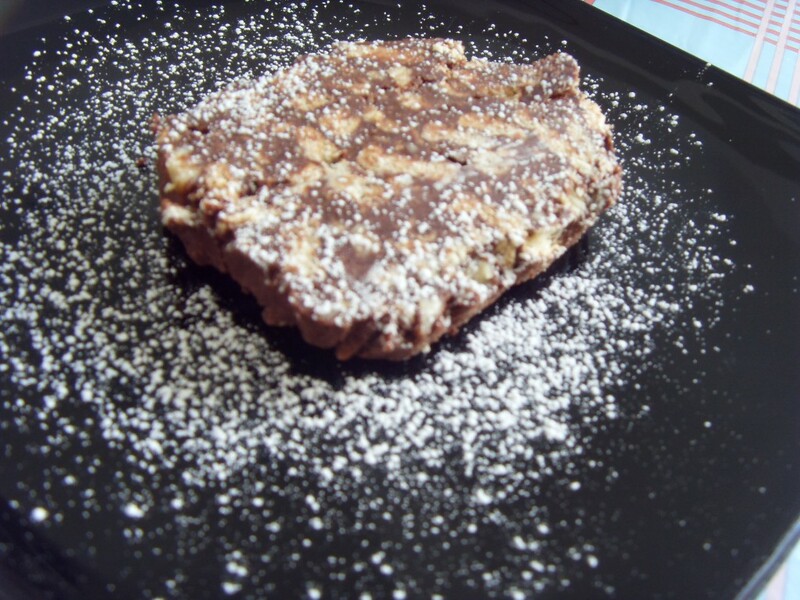 When the biscuits are well covered by the chocolate, turn the mixture out onto a large square of greaseproof paper. Form it into a rough salami shape. 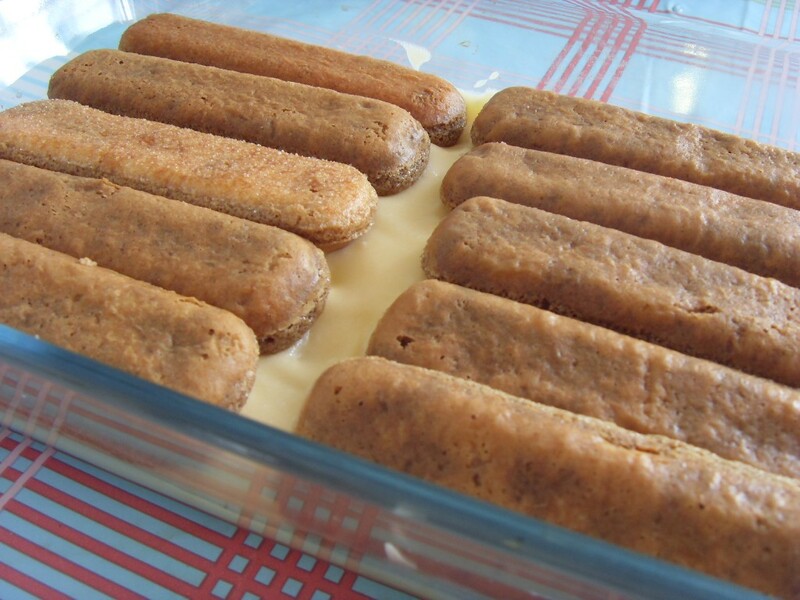 Bring the greaseproof paper up at the sides to make a sausage shape. Twist the paper together at the ends so you get a compact salami shape. 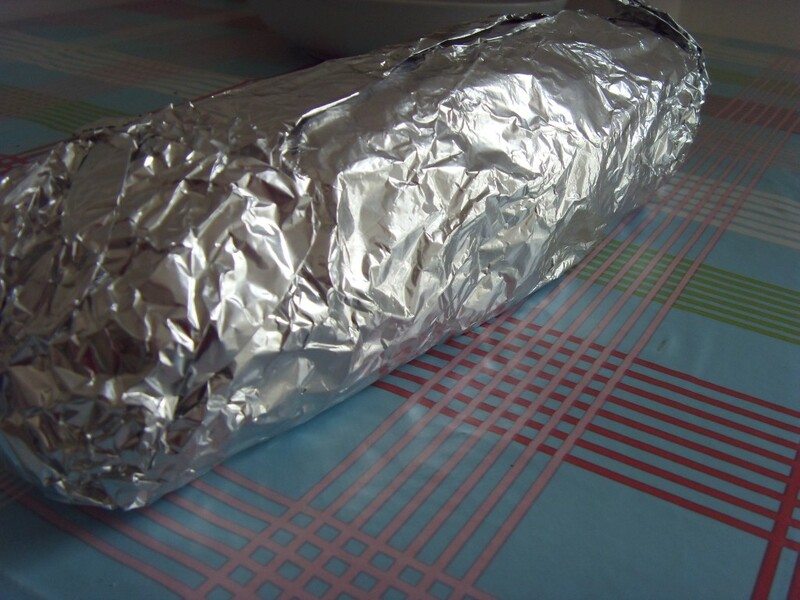 Cover the roll in aluminium foil and put in the fridge for at least 3 hours. Unwrap and slice the roll reasonably thinly to serve. Lightly dust the plate with icing sugar if you like.